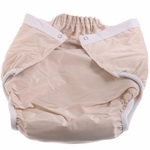 HighTideHealth offers an economical solutions to adult diapers and disposal pads: Washable, reusable womens urinary incontinence underwear. 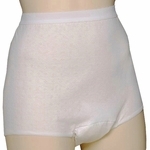 All the top manufacturers' products are offered: Salk, Wearever, Eversures, Prime Life Products, and Dignity. Most are made to withstand 200-250 washes.